Dr. Joe Lee in Torrance loves a good smile and wants to help you smile more—to let us convince you to smile more and maintain that smile with a healthy dental routine, keep reading! 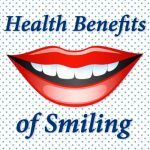 If you’d like a reason to smile more, contact your Torrance dentist, Dr. Joe Lee at Dr. Joe Dentistry to make an appointment. We’ll help give you a happy, healthy smile for life. « Is it Time to Straighten?